From the producers of SAW and AMITYVILLE: AWAKENING. 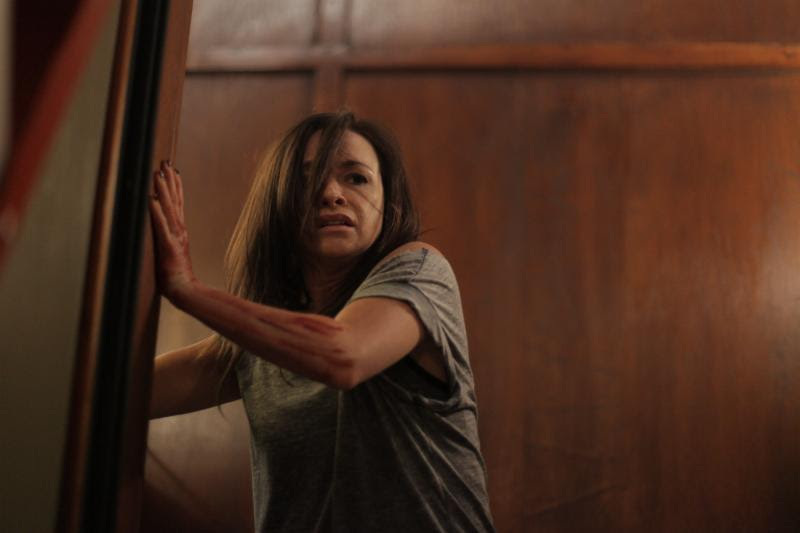 Brainstorm Media and Twisted Pictures have announced the 10th February for a limited theatrical and nationwide Cable VOD and Digital HD release of Andrew C. Erin's HAVENHURST. Co-written by Erin (Sam's Lake, Simple Things) and Daniel Farrands (Amityville: The Awakening, Haunting in Connecticut, The Id), the film stars genre vet (Julie Benz, "Defiance", "Dexter", "Buffy the Vampire Slayer") as a woman battling her own demons while trying to uncover what happened to her apartment's previous tenant (Danielle Harris, Halloween 4 & 5, Rob Zombie's Halloween, the Hatchet franchise). 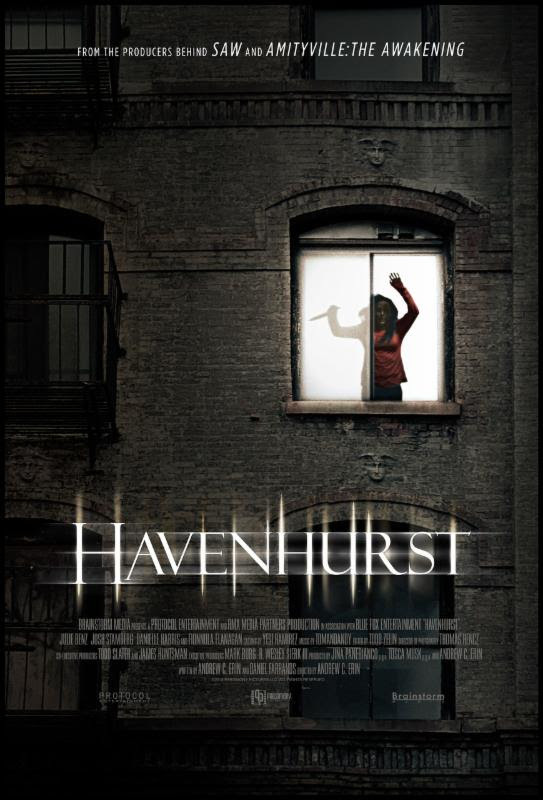 HAVENHURST will debut in Los Angeles at the Laemmle Music Hall. HAVENHURST will also begin week long theatrical runs in San Francisco, Denver, Philadelphia, Atlanta, Houston, Kansas City and Phoenix. Nationwide, HAVENHURST will be available on Cable VOD and Digital HD platforms, including Charter Spectrum, Comcast, DirecTV Cinema, Dish, iTunes, Amazon Instant Video, Google Play, Vudu and more. Benz and Harris are joined onscreen by Fionnula Flannagan (Little Secret, "Defiance", "Lost"), Belle Shouse ("Secrets and Lies", A Million Ways to Die in the West), Josh Stamberg ("The Affair", "Parenthood"), Toby Huss (Big Bear, "Halt and Catch Fire"), Jennifer Blanc (Among Friends, Good Family Times), Matt Lasky (The Purge: Anarchy) and Douglas Tait ("Jack The Reaper", "The Quest"). Welcome to Havenhurst, a gothic apartment complex in the heart of New York City. A beautifully maintained, turn-of-the-century building that houses over 3,000 residents and countless dark secrets. The rent is what you can afford and the rules are simple: live a decent life and you can stay forever. Break the rules and there are consequences. Jackie (Benz), a troubled young woman struggling with addiction, is released from rehab and given a second chance with a new job and a furnished apartment at Havenhurst. Guilt-ridden over the loss of her 8-year-old daughter, Jackie is quickly drawn into the mysteries of Havenhurst, in particular the disappearance of apartment 1006's previous lost soul, a young woman (Harris) she befriended in rehab who vanished without a trace. Aided by a hardened New York police detective (Stamberg) and a lonely foster child (Shouse) who lives under the sadistic shadow of her caretakers, Jackie must not only battle her inner demons... but the very real ones that live within the walls of Havenhurst.